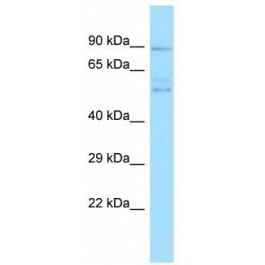 The immunogen for anti-PPEF2 antibody is: synthetic peptide directed towards the C-terminal region of Human PPEF2. Synthetic peptide located within the following region: LVTGEKEEPSRSASEADSEAGELRKPTQEEWRQVVDILWSDPMAQEGCKA. This gene encodes a member of the serine/threonine protein phosphatase with EF-hand motif family. The protein contains a protein phosphatase catalytic domain, and at least two EF-hand calcium-binding motifs in its C terminus. Although its substrate(s) is unknown, the encoded protein, which is expressed specifically in photoreceptors and the pineal, has been suggested to play a role in the visual system. This gene shares high sequence similarity with the Drosophila retil degeneration C (rdgC) gene.